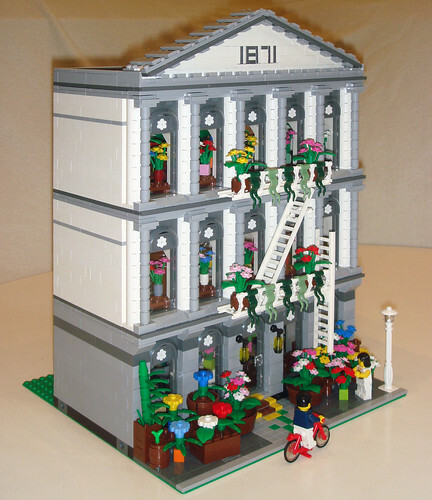 Brick Town Talk: CC-Standard Cast Iron Florist - LEGO Town, Architecture, Building Tips, Inspiration Ideas, and more! CC-Standard Cast Iron Florist, originally uploaded by sonicstarlight. A building overgrown by flowers. A very well thought out creation built to service anybody in need of some plants. It even contains a floor dedicated to garden supplies! Looks like it belonged on the Cafe Corner street the entire time. Nice work, and keep up the building sonicstarlight!